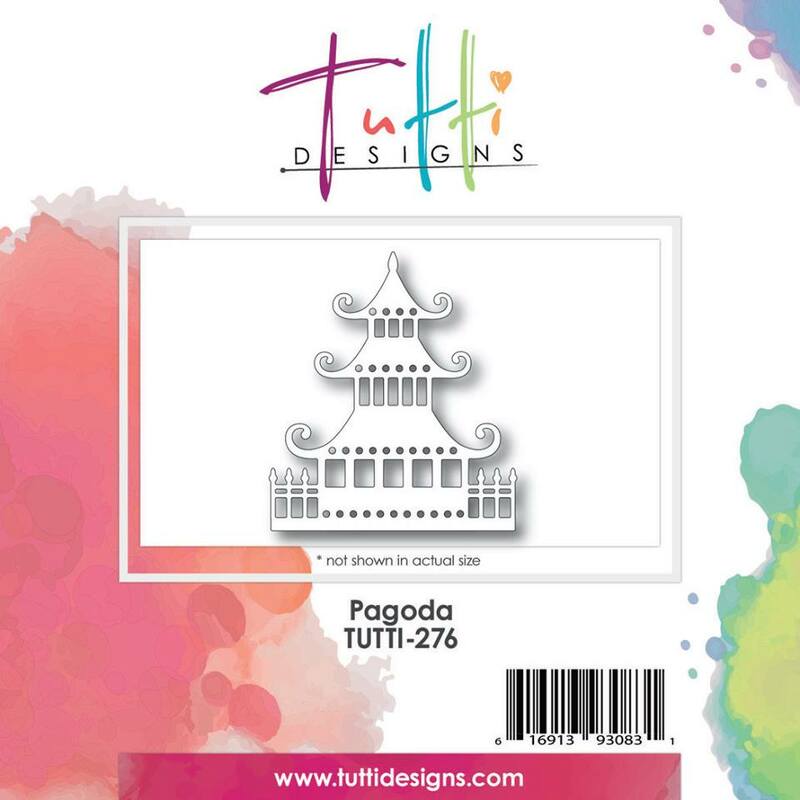 Tutti Designs: Going Oriental with a Pagoda. 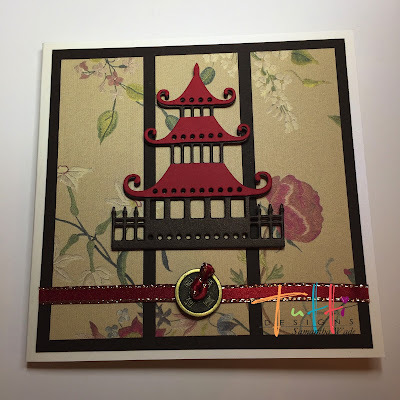 Die cut the Pagoda twice, once from brown card and again from red card. 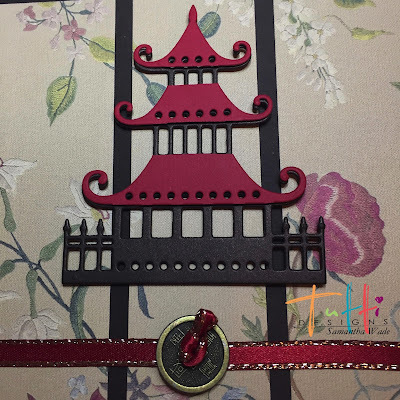 Cut the red to layer. 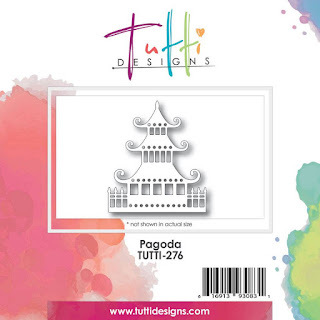 Glue the pagoda together and layer onto the background. 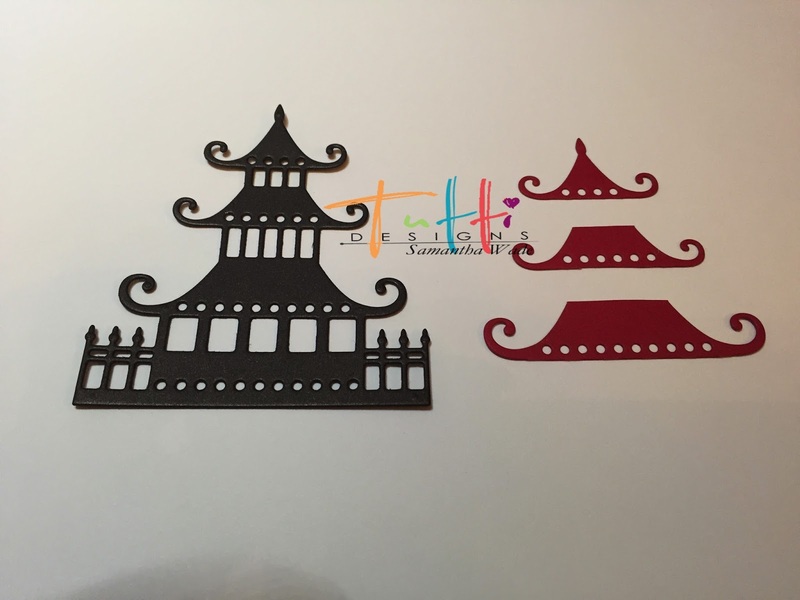 I also added a Chinese coin on some ribbon. Just BEAUTIFUL Samantha! 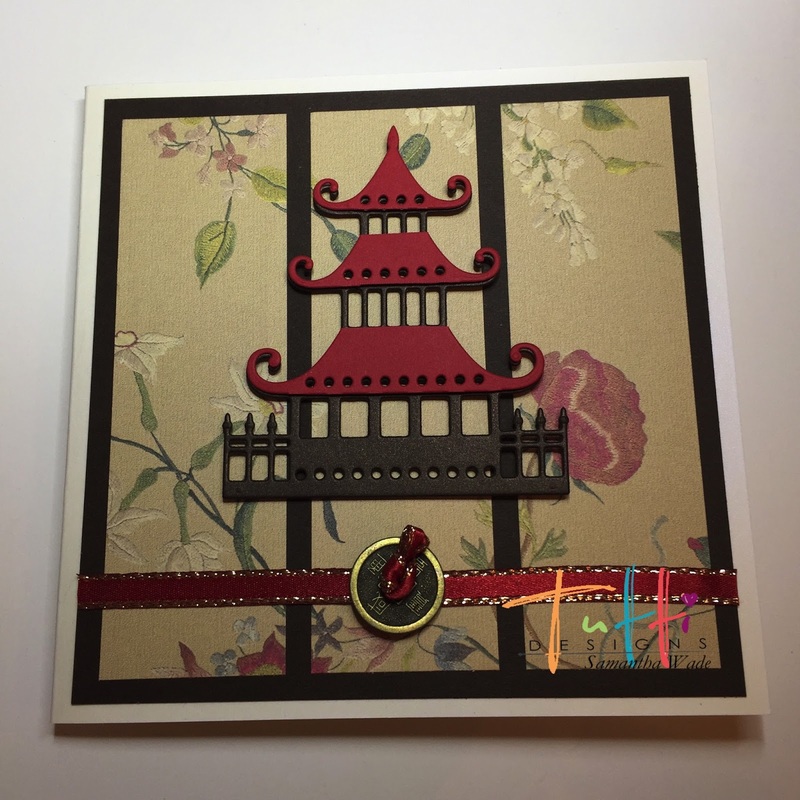 LOVE how you covered the roofs in red ... brilliant and looks AWESOME!! Great job! 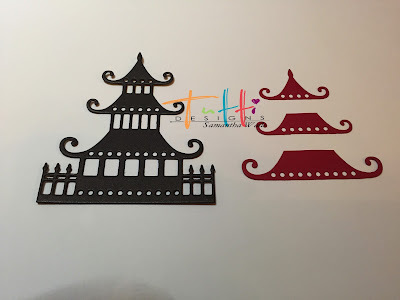 You've achieved such dimension by layering the dies in different colors. Love the added touch of the coin. 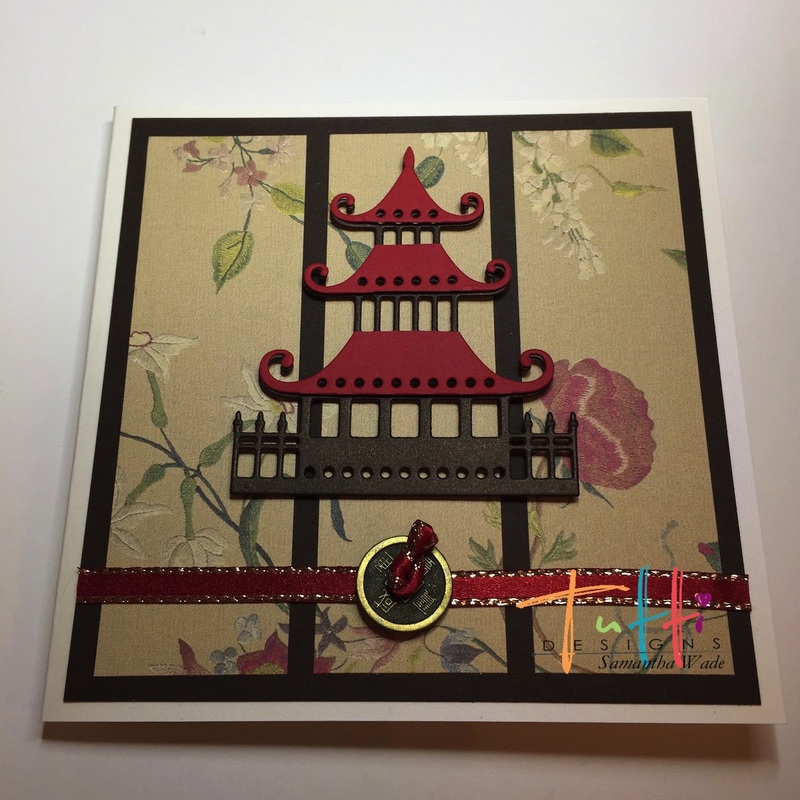 This pagoda die cut is so fun! Great choice of colors. Love!